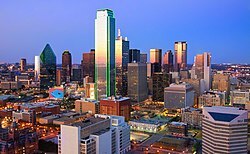 Seeking Occupational Therapy, Speech Language Therapist and Physical Therapy Jobs in Dallas TX? Therapy 2000 is recruiting professionals to join our outstanding team of specialized caregivers. We provide quality rehabilitation services to the children of the Dallas/Fort Worth area in the comfort of their home or at their daycare centers. Our patients have special needs that include disabilities, developmental delays, and autistic spectrum disorders. We strive to provide excellent care and improve the lives and well-being of our patients and families, and our valuable and valued therapists and staff. We treat our employees with concern, care and respect while at the same time upholding the highest standards of professionalism, compassion, and ethics. If you bring your passion into the workplace, strive for professional, have high personal standards for integrity, and value diversity then we want you on our team to help care for and unleash the potential in all of our children. For almost 20 years, our founding philosophy has been very simple – do what is right, not what is easy. This is the heart and soul of our business, and we want employees to share our vision, our passion, and our commitment. Be a valuable and respected professional on our team with a highly competitive benefits package that includes medical insurance for you and your family, 401(k) retirement accounts, paid time off for full and part-time employees, flexible scheduling, and even an employee referral bonus program. We offer exceptional support for staff including paid malpractice insurance, a flexible spending account, and mileage reimbursement. For those continuing in their education, we offer complimentary CEUs. Find out how to join our team, contact us through our webpage or give us a call and find out how to have the career you have always wanted.